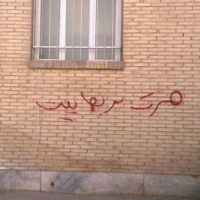 On Wednesday, 17 September 2008, an ominous development was announced by Shahbnews.com (http://www.shahabnews.com/vdcc.1qma2bqxsla82.html), which impacts the entire Baha’i community of Iran. The report stated that this Friday, 19 September, a petition will be made available for people to sign during the Friday prayer gathering in Tehran, which will be led by the Iran’s Supreme Leader, Ayatollah Ali Khamenei, demanding a dissolution or ban of the Baha’i administration in Iran. It was alarming that this news was announced at the same time that the media was told that Ayatollah Khamenei would be presiding over Tehran’s congregational prayer, suggesting a link between the two events. The portion of the petition which the media quotes suggests that this is a step towards further grave actions that the government or its agents are contemplating towards the Baha’i community of Iran. 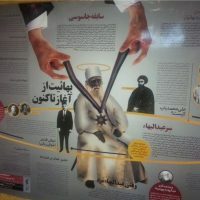 That is, it appears that the government, through the influence of the elements of the Hojjatieh Society in its ranks, is setting the stage for claiming that wholesale sanctions on all Baha’is in Iran is the will of the people, thereby making it appear as if the government is merely carrying out the popular will (as expressed through the forthcoming petition) by imposing further restrictions on the Baha’i community. Baha’ism is an organized sect, with its leadership residing under the protective shade of the militantly aggressive occupier of Jerusalem [i.e. 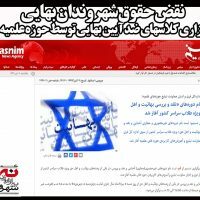 Israel], and has established its foundation by spreading lies against Islam and Iran, and by openly and fearlessly advancing the political, cultural and economic aims of global Zionism. This Zionist-Baha’i organization not only has targeted Islam for its cowardly attacks, but is negligent of humanity and its principle needs. We, the undersigned, in carrying out our Islamic and human duty, request the country’s esteemed Attorney General to confront all elements of this organization and dissolve its administration. As soon as news is received from Iran about the upcoming Friday events, they will be shared with readers of this page. Accusation of Being a Baha’i!! What makes this interesting is that it has become so common in Iran to accuse one’s enemies of being Baha’is that even those ardent supporters of President Ahmadinejad, such as Mayelikohan and Rouhullah Hosseinian, are no longer protected. This suggests that the most serious political insult in today’s Iran is to call someone a Baha’i! And that goes a long way to explain why the government’s official news organ, IRNA, has launched a campaign of spreading lies about Mrs. Shirin Ebadi and her daughter by accusing them of becoming Baha’is. Earlier today, Thursday, 18 September 2008, Khorasan News announced that Kerman’s Friday prayer leader, Hojjatu’l-Islam Jafari, warned against the “wayward Baha’i sect” in the province of Kerman.